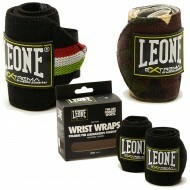 Boxing Hand wraps provide optimal protection for your hands and wrist during training, combat and competition. 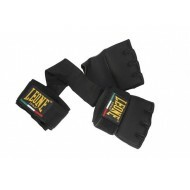 Boxing Hand wraps are here to hold your hand together by providing support for your wrists, fingers, knuckles and the whole hand itself. 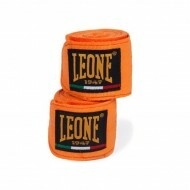 Many boxers mistakenly think that boxing tapes are an extra cushion or protection for your knuckles. 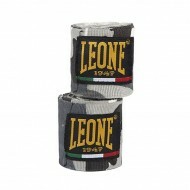 But on the contrary, the purpose of the boxing bandage is NOT to cushion the impact; That's what boxing gloves are for. 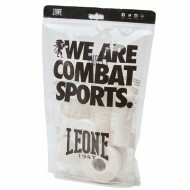 Boxing bandages are there to secure all your loose joints and your mobile bones. 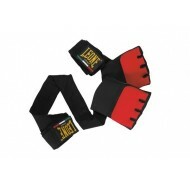 Boxing Hand wraps keep all your joints together so that the shock is better distributed throughout your hand. 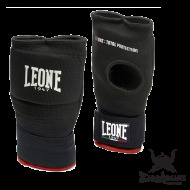 In the end the boxing bandages are designed to prevent injury, which is essential in boxing because you have to protect your main asset and work tools: your hands! 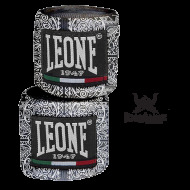 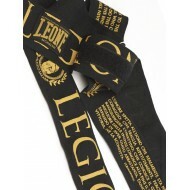 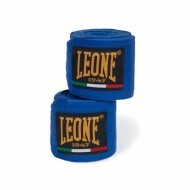 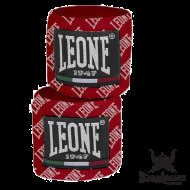 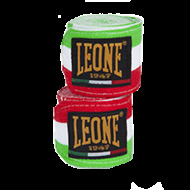 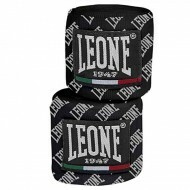 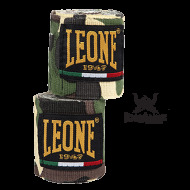 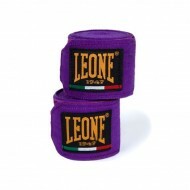 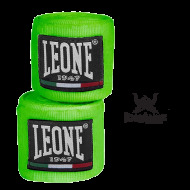 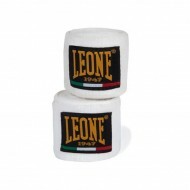 You will find many Leone 1947 boxing bandage on our site Barbarians Fight Wear based in Strasbourg in Alsace, Bas-Rhin. 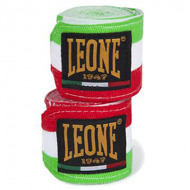 We have many color boxing bands: pink, green, blue, red, black, gray camouflage, green camouflage, purple, orange, white, yellow, Maori, fluo green, fluo yellow, italian flag, french flag and thai flag. 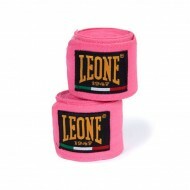 If with that you do not find your happiness !!! 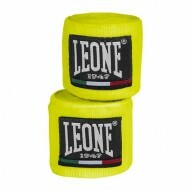 We also have three band sizes: 2.5 meters (100 inches) | 3.5 meters (140 inches) and 4.5 meters (180 inches). 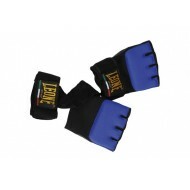 We recommend, size 2.5 meters for children and juniors or to use the bands with glove MMA or glove punch bag as smaller. 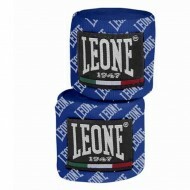 For the boxing glove we prune you to take 3.5 meters or 4.5 meters. 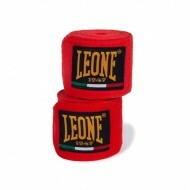 Do not hesitate to ask us to explain how to put boxing tapes. 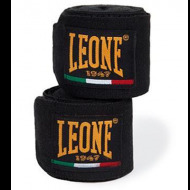 Either by going to our store in Strasbourg, our boxing club "KFCE Sanda / MMA Schilitigheim and Bischheim" or by sending you tutorials. 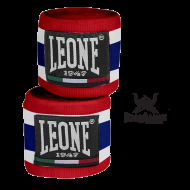 We are both boxers (Marie-Pierre and Michel ANSTETT) so we are able to show you the good method to put the boxing band.